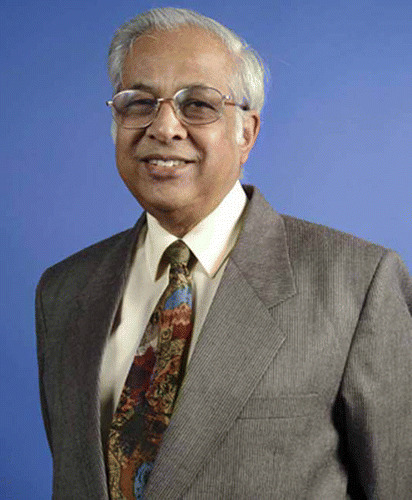 Gopal K Kanji, Emeritus Professor of Applied Statistics at Sheffield Hallam University, is also a founder editor of the two international journals namely, Journal of Applied Statistics and Total Quality Management. With a career spanning 37+ years in the field of statistics and quality teaching, publishing journals and books, writing technical papers and presenting research findings around the world, he is a true teacher, trainer, researcher and innovator and consultant. More than 90 research papers and 15 books in Statistics and Total Quality Management have been published by him. He has been a very active member of the American Society for Quality (ASQ) and a promoter of ASQ in the UK. Recently, he was appointed as Vice Chair of the International Chapter of ASQ for Europe and the Middle East. He has presented papers at the Annual ASQ Congress. He is a fellow of the Institute of Statisticians, the Royal Statistical Society and member of the International Statistical Institute (ISI). He is Academian of the International Academy for Quality (IAQ). He has been teaching and consulting in different parts of the world, and as chairman, has helped to develop a European Master programme in Total Quality Management under the umbrella of EFQM. He has also supervised many PhD students in TQM and Applied Statistics. Since 1995, he has organised World Congresses for Total Quality Management at Sheffield Hallam University, UK and other European countries. He has acted as a technical expert for the development of the European Customer Satisfaction Index. Recently he introduced a Business Excellence Model to measure stakeholders’ satisfaction within the organisations.